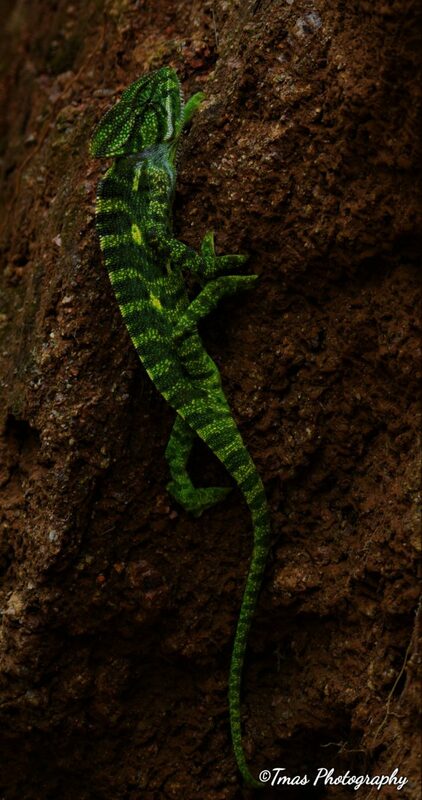 The Indian Chameleon(Chamaeleo zylanicus) is found commonly in Sri Lanka, India and parts of South-east Asia and belongs to the Chamaeleonidae family of reptiles. Its head has a distinct bony projection, like a helmet, and usually has a very attractive colouration. The chameleon is an arboreal creature and moves with a slow swaying gait. It was a Monday morning in July. The rains had let after a long period of incessant pouring. To celebrate the first glimpse of a weak sun after a period of dreary cloudy monsoon, I decided to explore a nearby State-forest to have a relaxing day outdoors. For a long period of time, I hadn’t stepped out of the house due to the rains, and this was my time out. So on the 16th of July, I drove to Savanadurga State Forest to enjoy my day in the sun at peace with nature. Driving through the forest, I was initially a little disappointed because I didn’t get to see even a single species of wildlife. So I decided to just enjoy the calm and quiet of nature at its best. It was while I was returning to the main road, that I saw this long reptilian creature in the middle of the road. 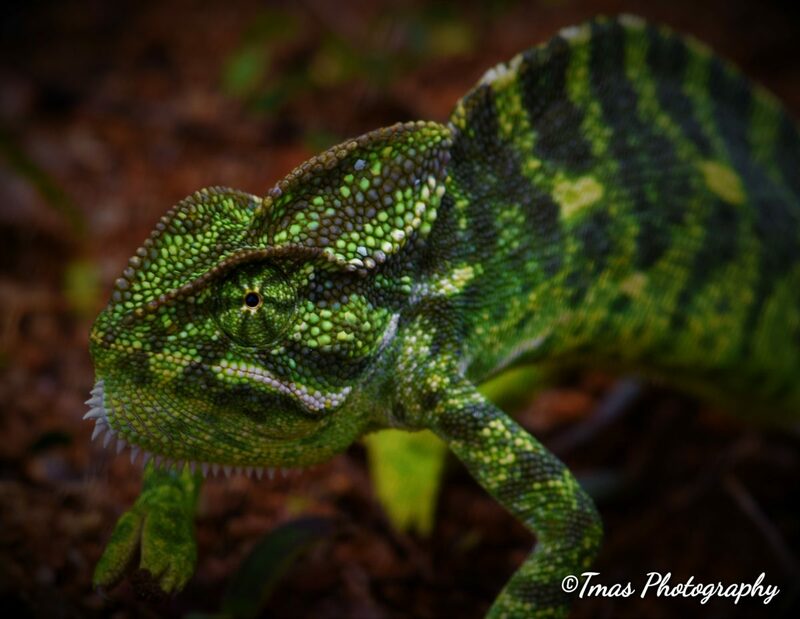 To my delight, it was an Indian chameleon(Chamaeleo zeylanicus) which was crossing the road. Shaped like a boomerang, it moved slowly swaying its body in a funny way. The chameleon was quite aged and moved slowly. I picked it up into my hands to see it better, where it tickled me to my immense enjoyment. Once the chameleon crossed the road, it tried to climb a small hilly region, with me following its progress with interest. Unfortunately, due to its age, it failed in its attempt to climb the first 6 or 7 times. Finally, after a lot of effort on its part, it managed to climb the rocky outcrop bordering the roads. Personifying the saying “Slow and steady wins the race”, the chameleon started on its climb away from me, finally vanishing from my sight into a crevice in the hills. This experience really satisfied me as it gave me the chance to see an animal with resilience to overcome the challenges in it was, along with providing me with a good photo opportunity to capture images of animals other than the run-of-the-mill leopards, elephants etc that are usually more commonly photographed in this state forest. A 20 years old wildlife photographer, Adithya Shravan id passionate about all kinds of flora, fauna and avian species.. He wants to explore wildlife and help conserve the wild. Its pleasure to read this article and I get the knowledge about chamelon…. Thank you for sharing knowledge brother ….